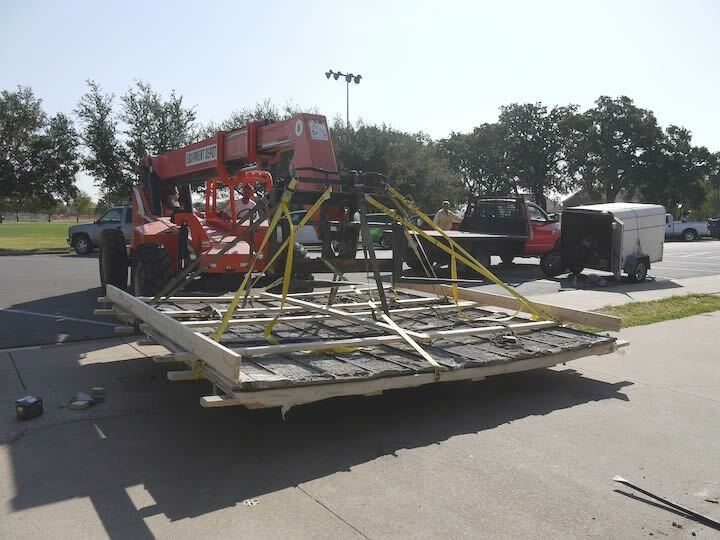 TSTC Waco is located on the property that was once home to the James Connally Air Force Base. 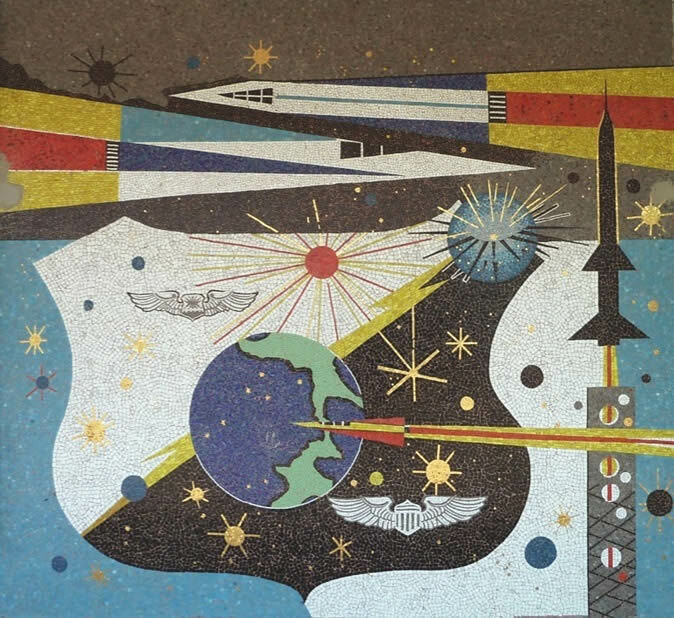 Although now an academic building, an original mosaic survives in the former Officers’ Club. 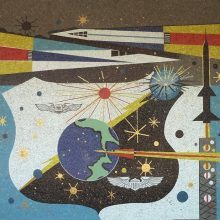 The mosaic integrates images of flight and space exploration with a shield and Air Force wings in a stylized ‘space age’ aesthetic. The design is composed of irregularly shaped glass tesserae in vibrant hues of white, black, blues, yellow, red, and gold leaf. 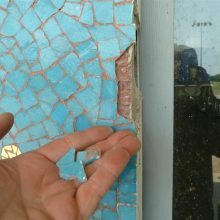 We were hired to assess the condition and restore the mosaic, determining means and methods for removing and salvaging it for re-location in a new building. 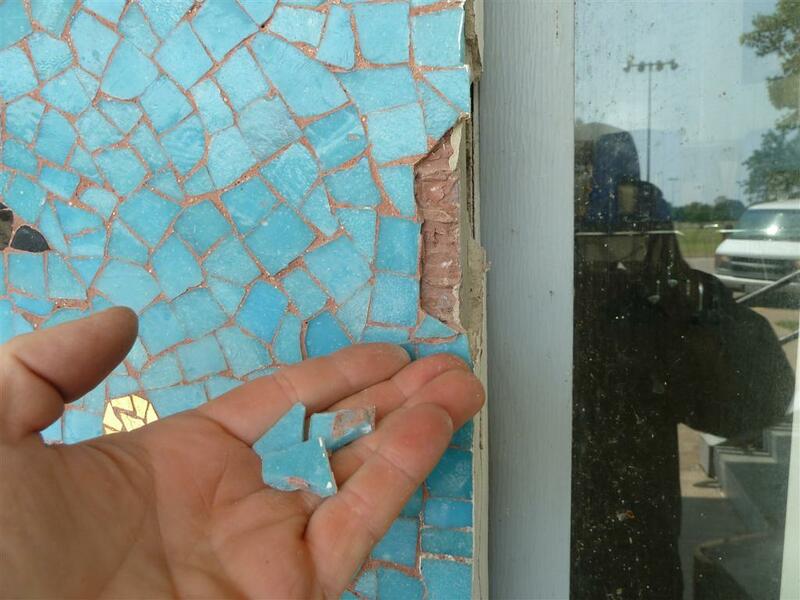 Our conservators investigated the mosaic, its backing, and the site conditions. They then designed, implemented, and oversaw a detailed plan for its removal, transportation, reinstallation, and conservation. 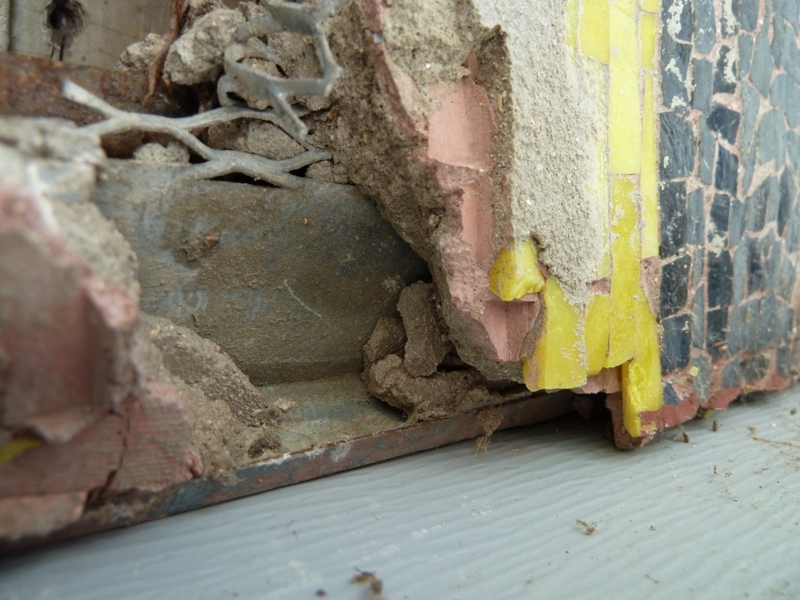 Conservators probed the wall behind the mosaic and confirmed that the mosaic could be safely removed without further demolition of the building. The removal began by facing the mosaic with muslin to protect the tesserae and hold any that became loosened during the work. 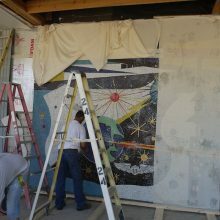 We custom designed and fabricated a support frame that was built on site and secured to the mosaic. 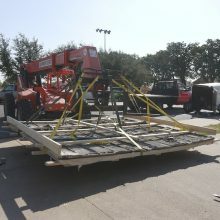 The assembly was then carefully freed, lowered, and transported to a new facility. 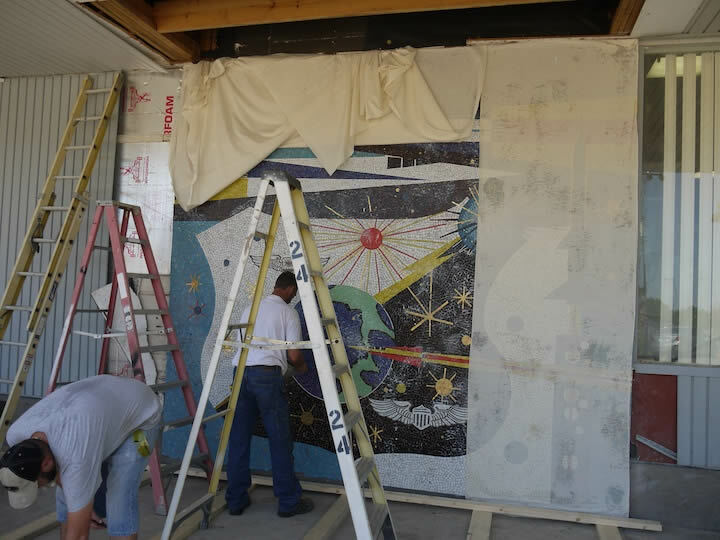 Our conservators oversaw and implemented the reinstallation. 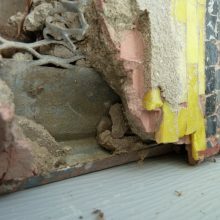 They then repaired pre-existing losses using salvaged tesserae or new glass specially sourced to match the existing. Glass was custom cut to size and set in a bed of color-matched mortar.